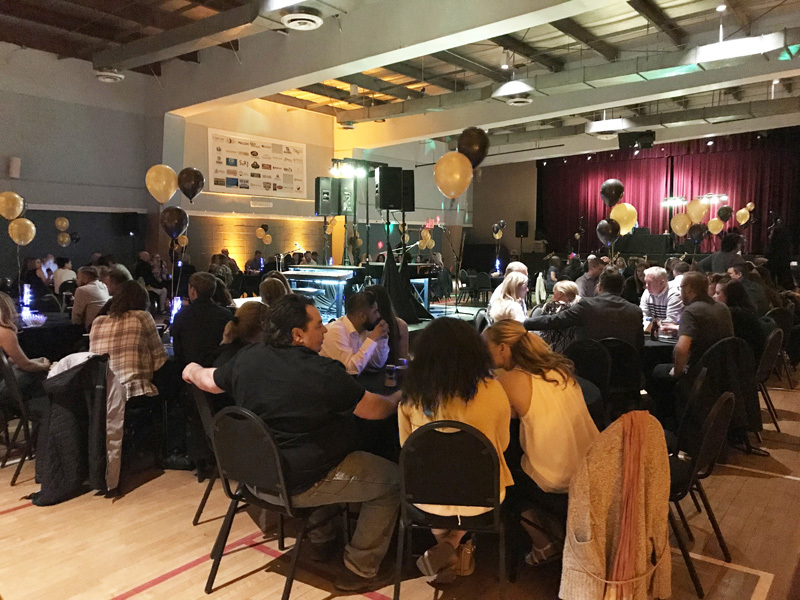 The fourth annual Rock the Rec Centre event gave Chestermere residents an opportunity to enjoy a night out while supporting the facility on April 6. In previous years, residents participated in a fun money casino; however, this year the Chestermere Rec Centre emphasized music. 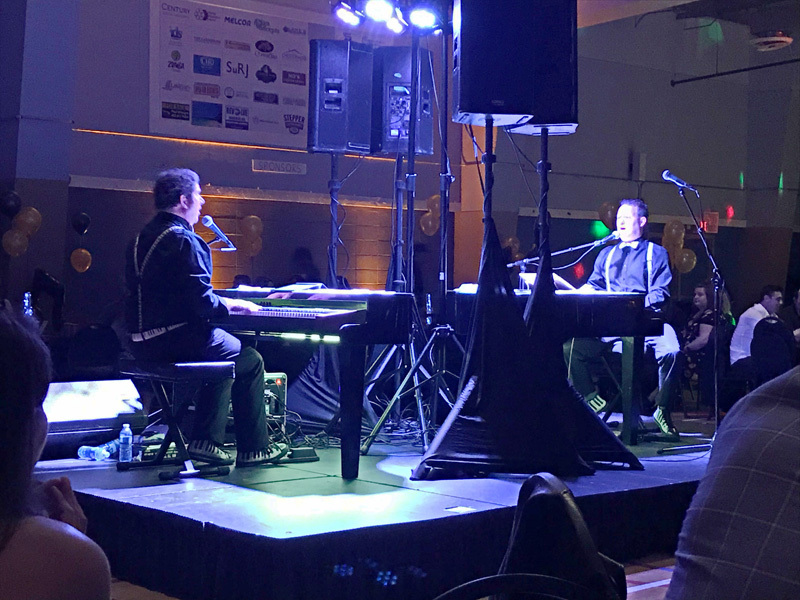 They brought people together with the amazing showmanship and talent of the Dueling Piano Kings, and the challenges of music trivia. “The conception of the event was to use music music to bring people together to dance and celebrate the community,” said Chestermere Rec Centre General Manager Jody Nouwen. “The people who come, always have a great time. I hear great feedback, and that keeps me doing it,” Nouwen said. A new twist to Rock the Rec Centre was a digital photo booth where donations could be made which were explicitly earmarked for improving the potholes in the parking lot. “The parking lot is an item at the facility that many people would like to see improved,” Nouwen said. “That was very generous of them,” Nouwen said. Along with parking lot funding, the proceeds raised from Rock the Rec Centre will go into facility lifestyle improvements by making the facility nicer and brighter. The Chestermere Rec Centre board is currently meeting to determine future plans for the facility, and is determining whether to pursue an addition, or upgrading and improving the facility by replacing the gym floors or creating a new lounge area. Without the support from the community, no facility improvements would be possible. Nouwen appreciates the people who attended the event, and the people who continually support the activities the facility offers. “Our mandate is to provide recreational opportunities for the community, and we do just that with these events, it was a fun recreational event for the adults,” Nouwen said. Throughout the year, the facility hosts many events for youth, but it’s nice to have an opportunity for the adults to come out and celebrate together, she added. For Nouwen, seeing the facility host a high-level first-class event, and seeing everyone having a good time made all the hard work well worth it. “Seeing everybody celebrating, dancing, enjoying the music in a community celebration, – that’s what it’s all about,” she said.